. . . . a tool to invite your family to great conversations at your table. Talk is list of over 365 questions that will lead your family to greater depth, greater understanding and greater unity. There is no order to the questions, just simple categories – my story, our story, God’s story, the world’s story and the story yet told. It is a beginning point that sparks rich words. 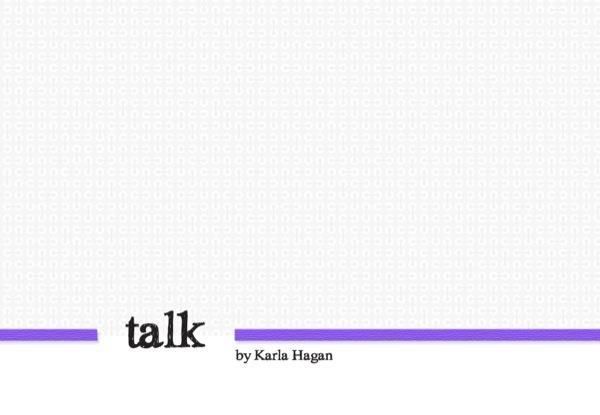 When you purchase the Talk cards, you are getting 365 questions divided into 5 chapters. Like the pray and date tools, these cards are a convenient 4×6 size, listing several questions on each card. How do I use talk? 1. Put Talk in the center of your dinner table. 2. Share some details of the day, and then have someone pick a question. 3. Everyone then shares a thought to that question. The questions range from serious to silly. So, pick and choose. Some of the questions might also be developmentally beyond the ages of your children. Certainly, you could skip those and move on to others. But, I encourage you to share your answers with your children and ask them questions to seek their understanding. Your children will learn so much as you share your experiences – your pain, your joy, your questions, and your hopes. Though they might not have an answer themselves nor appear to be totally getting all that you are giving, they are listening, watching and wanting to emulate you. They see that you desire to know them and to be known. The conversation will also get off track. So, stay with it and continue on until everyone has had a chance to share words. And no negative commentary on people’s answers. This is a safe place and a safe time! 4. You might want to also date the questions as you do them so that you can keep track of the fun! I believe Talk will lead your family to great places. Consider it a wise investment in the future of your family. The dinner table becomes a meeting place where opinions are shared, dreams are uttered, thoughts are respected, and everyone wins. I often say that our kitchen table is the most important piece of furniture in our home. The time we share around our table is paramount to our physical, emotional and spiritual health. But dinner is no easy endeavor in our house. First, it is a miracle to create some healthy foods that all five of us will enjoy. Second, our little people are sometimes more interested in how fast they can eat or how much they can cram in their mouth at one time? And then we have the spills, the burps, the bad manners, etc. But I still have hope, because in this crazy also comes the words, the heart and the moment. The moment when a question is asked, time stops, reflection comes and we share life together. Talk has been a tool in the life of our family that has helped us get there! Once there, it also facilitates our hunger to instill a Biblical worldview in the minds and hearts of our kids. We want our children to begin in the Bible and understand their questions and events of the day from the perspective of the Bible. This is our only hope, you know. The Talk questions help Ron and I capture some moments to “work this out” with them.